Discussion thread can be found on Minecraftforum.net. Tired of accidentally creating 1e64 Pneumatic Servos when building machines in an Applied Energistics crafting grid? Have a bunch of iron and diamond armor looted from dungeon chests that you wish you can break apart? Have a bunch of metal blocks you want to combine to make new alloys, but don't want to break them into ingots, first? Well, this mod is for you! 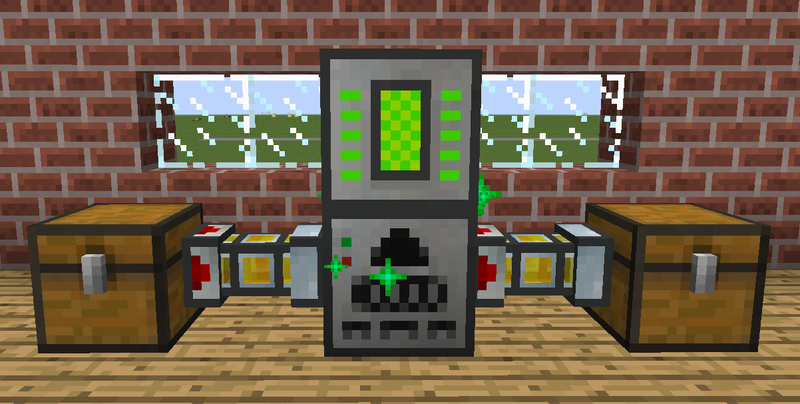 Thermal Recycler - breaks an item down into it's component parts, or converts them to scrap which can be used for other things. Scrap Assessor - allows you to see how an item will be processed based on the processing core installed. Composter - takes green and brown material as input and accelerates crop growth around the block. Battery Rack - use RF charged devices to energize your power grid. For a lot of basic items additional Redstone Furnace, Pulverizer, Sawmill, and Induction Smelter recipes are added so that ingredients can be recovered. For example, pulverizing an Iron Door will give back 6 Iron Dust. These recipes show up in the normal fashion with NEI. The recipes for Thermal Recycler are not available via NEI because of the high variability of what it can produce.To get these recipes use the Scrap Assessor with the corresponding upgrade. Paper Logs and Paper Log Maker. Used to make furnace fuel from paper. Fertile Land. Immune to trampling and doesn't need irrigation. Craft using worms that are found when digging up Grass blocks. Better than Bondo! Use Scrap/Scrap Boxes to repair/rename items in an Anvil. Pile of Rubble. 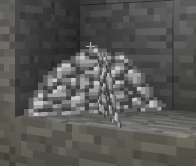 Find these underground when mining. Break them to get random items. RTG Energy Cell. Craftable power source using Energetic Redstone. Further information about Thermal Recycling can be found on the Wiki. A complete list of supported mods can be found here. I would like to hear from you! Feel free to PM any comments. Also, if you have a suggestion for improving the mod go to the projects Issue page and create an entry. If you find a bug the best place to get let me know about it is the Issue tracker. This allows others from different sites to see the problem and allows me to track it in a better way. If you have general questions related to game play or want to share your experience with other players there is a thread for the mod on the Minecraft forums that you can use. If you wish to donate you can support me on Patreon. I made a new mod for 1.10.2 based on the Pile of Rubble. You can find the project here. I do plan on making it for 1.11.2 once I get it polished. will there be an update to 1.10? Figured I would answer this question even though it is older. Right now I do not have any post 1.7.10 plans for the mod. It is dependent on Thermal Expansion and as the mod currently stands I can't move it forward till they do. I did think of making some fundamental changes to the mod to decouple but I have not made any decisions. KingLemming doesn't plan to port Thermal Expansion up to 1.10.2 and has basically just retired from MC modding to work on Stellaris mods, so it's doubtful we'll see it anytime soon. I can understand not wanting to port Thermal Recycling forward without TE, however. I didn't know that. Thanks for the info. I don't plan on abandoning Thermal Recycling - just need to figure out what I want to do with it. * The RF API that is being used (1.7.10R1.0.2 from <unknown>) differes from that that is reported as being loaded (1.7.10R1.0.13 from EnderIO-1.7.10-2.3.0.426_beta.jar). I find the CurseForge page better for looking at mods. A few items, including gunpowder, have a scrap value and yet clog when placed in the Thermal Recycler. Am I doing something wrong, or is this a bug? This also affects the Litter Bag which I added a scrap value to using Minetweaker. Both show poor, and jam in the recycler and the assessor. Running version 1.0.4.2, which is the latest release at the time of posting this. It will jam if you have the extraction core installed. To scrap you will need to use the decomposition core, or no core depending one what you are trying to achieve. I have the decomposition core. It clogs if I have either core, and no core. The item to be processed cannot be processed by the current core. The output grid is full and the recycler cannot place any more items into the output. There is an internal buffer containing the results of the last operation and the recycler will be jammed until this internal buffer is flushed to the output. Are you planning on adding an upgrade slot? I really want to automate it some more. 1. Currently there is no upgrade slot. I have been thinking about adding augment slots like those found on Thermal Expansion machines, but I am not sure. Reason is because augmenting machines in that fashion are part of the Thermal Expansion experience. Currently that behavior is not provided by the published SDKs from TeamCoFH and I am reluctant to come up with something to be a "me to". 2. The Core: Decomposition is upgradeable. Using upgraded cores will allow for better yield when recycling items. The Core: Extraction module does not have any upgrades available. I have some thoughts about this but have no concrete plans at this time. 3. I have been thinking about other Core: Extraction modules based on the installed mods. For example, a Thaumic Core: Extraction module would etract essentia from items. Not saying I am going to do this, just pointing out this is one possible approach to additional modules. Sorry I never recieved this notification. But yes, I meant augments like TE machines. Also, I want to pick up the block with the wrench instead of using a pickaxe. Wrenching to break should be doable. I will take a look at it. I'm still mulling augments. 1. I turned off the blacklisting of Cobblestone in the configs to use in recycling but the machines still won't accept it. Am I able to turn on the option to recycle cobble? 3. I've noticed the vending machine render items sideways so it's a bit difficult to see them, is it possible to turn them to face front? 1. The blacklist information in the config file serves as an example. Cobblestone is black listed internally. Reason cobblestone is blacklisted is because it is real easy to make a cobblegen to feed the system. I think you can change this using Minetweaker - I haven't tried. 2. You could do this using Minetweaker. 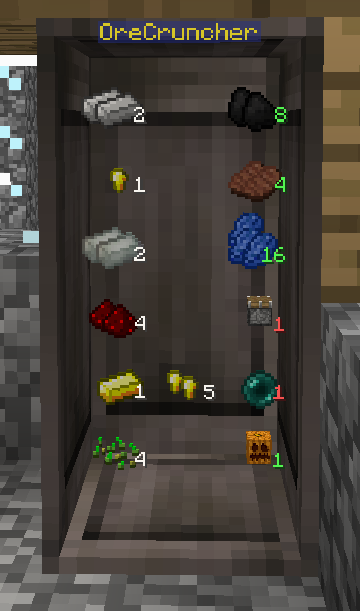 Recipes added using Minetweaker "have priority" over the ones automatically generated by the mod. This can get tedious depending on how many tweaks you want to make. 3. What version of Thermal Recycling are you using? I see from the comment you made below that you are running the latest. I made a fix a little bit ago in an attempt to address this (v0.4.1.3). Also, what items are you seeing are rotated?